This post is for Shannon B who suggested that one of my topics should be what I would do if I ruled the world. My good people: I have awesome news. “IF” very well could be “WHEN” on February 19, 2015 when the year of the Goat/Sheep/Ram begins on the Chinese New Year. 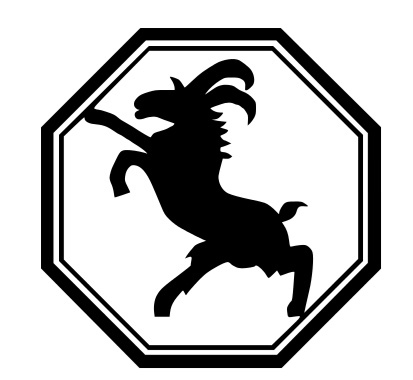 The Goat/Sheep/Ram (it’s kind of a tri-polar deal) just so HAPPENS to be MY Chinese Zodiac Animal Symbol! I know RIGHT???? I am so excited! Now some of you may know this: I am not Chinese. Nor do I have a lot of experience ruling the world. Don’t worry about this too much. According to the Chinese Zodiac, Sheeple (I made this word up to make it easier for everyone) are the highest among the animal people whom OTHER animal people LIKE the most, so you will all more than likely really appreciate all the things I do when I am in charge, especially certain Horses, even though certain Horses won’t admit how great Sheeple can be. Which make Sheeple sometimes get a little annoyed at Horses when they are trying to be indifferent to Sheeples’ awesomeness. Sheeple tend to gravitate toward Rabbits because they are easier to boss around. I just made that up too. I think it’s important to have good “make lots of things up” skills when you are in charge of EVERYTHING. It helps you avoid having to KNOW too much stuff. But hear me out so that you will know more about your future World Leader (as the year of the HORSE comes slowly to a close) and feel a little better about things. Sheeple are tender. Oh My GOSH this is so f’ing TRUE! We are polite and filial. Filial means affectionate, loving and devoted in case you were wondering. I had to look this up because I was worried it meant Sheeples were a little like fillies A.K.A. HORSES, but it turns out I was wrong. Sheep have a special fondness for quiet living (uh…well, yes, it would be nice) and can cope with business cautiously and circumspectly. Women who are Sheeple (that’s me) are willing to take good care of others. SEE? It will be okay! I’m not going to tell you any of the weaknesses that Sheeple might have. You will find that out soon enough from the media. I WILL tell you that it seems Sheeple should avoid the numbers 6 and 8 which is a little worrisome. But their lucky flower is the carnation, which happens to be my FAVORITE flower so if any of you wanted to honor me come time that I am your leader, carnations would be a nice way to do this. They are an affordable and hardy flower. I might make carnations the World Flower just to start things out in a practical manner. So. Now that you all know I am completely qualified to be your leader I will tell the top 10 things that I will DO when I am your leader. I’m going to have to get back to you. Stay tuned for Part II of What I Will Do When I Rule the World at some point very soon. It might be tomorrow. Though I was hoping to write about poop for Marie R tomorrow. So it might be the next day. Or the next. Sheeple can get serious anxiety when pressured. This is the picture I found on Wikipedia for the symbol of the Sheeple. Quite frankly I find this picture to be a little bossy and mean looking. I promise not to be bossy or mean when I am your ruler. But that’s all I can promise tonight. Now leave me alone for Heaven’s sake! Jeez! I will be happy to support your efforts , I will gladly have compassion glasses.. Most impressed with your worldly knowledge! And well you had my loyalty at the word sheeple! From one make word person to another…genius! I can’t wait! When you take over, be sure to set aside a day to celebrate chocolate. This has been horribly overlooked in the past. It will be good to have a Sheeple led world. Our current world leaders have been sorely lacking. We will be in good hands…..as long as you are REPUBLICAN! Do Sheeples have political parties? Since I am related, I expect preferential treatment and visits to the ruler’s home, as well as the opportunity to meet famous people!